Software porting is pretty common in the world of WinMo and Android while Symbain users have much to catch up. 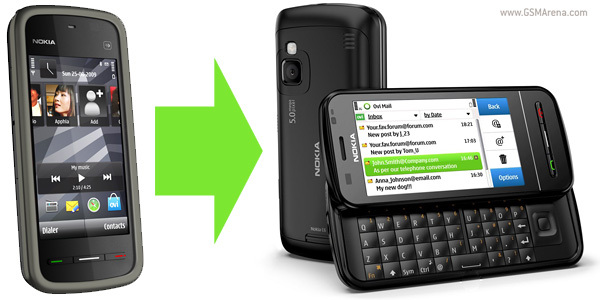 Luckily, there have already been a handful of Symbian smartphones enabled to run other handset’s firmware, including the Nokia 523x family, which has just been treated to the latest Nokia C6 firmware. Nokia isn’t one of those companies that stop releasing software updates soon after launching a mobile phone so normally, users just don’t need to even think of porting one handset’s firmware to another. All they have to do is wait a bit for the next FW update full of bug fixes to arrive. Still, in some cases the bugs (such as battery life issues, RAM management, overall performance, etc. ), aren’t fixed properly or at all even via the robust update program. This is where ported software comes in handy. And Nokia 5230 (along with its semi-clones, the 5228, the 5232 and the 5233) is yet another example that FW porting isn’t a no-go for Symbain-powered smartphones too. Of course, because of the numerous hardware differences between the two handsets there are plenty of bugs (known and unknown) that need to be fixed. And also keep in mind that this isn’t a harmless procedure and you might void your phone’s warranty. However, if you’re still interested in giving the PNHT team‘s BETA port a try, follow that link, do the necessary reading and get the files you need in order to get the porting started.